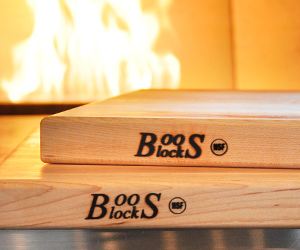 Certified Listings - John Boos & Co.
John Boos & Co. is strongly dedicated in working with our customers in designing value added product with food safety in mind from production to consumption. All of our certified products have gone through rigorous testing, inspections, and validation as required to be approved to bare the approved certification logos. Below you will see all the certification listings, John Boos & Co. offers for specific product models. John Boos & Co. demonstrates use of abundant sustainable renewing timbers in our product as practiced by NHLA Members. Our hardwood foresters follow professional best practices that mirror natural forces. Individual trees are selected for harvest, encouraging forests to renew and regenerate themselves naturally and prolifically. NSF International is an accredited, third-party certification organization that tests and certifies products to verify they meet public health and safety standards. Products that meet these standards bear the NSF Mark, which is respected by consumers, manufacturers, retailers and regulatory agencies at the local, state, federal and international level. NSF Components are certified individual products that meet public health and safety standards to bear the NSF Mark. This NSF Mark is respected by consumers, manufacturers, retailers and regulatory agencies at the local, state, federal and international level. An example of a NSF Component would be a certified pull-out drawer for a worktable or a certified drop-in sink. CSA certification indicates that a product complies with USA and Canada standards. Products are labeled as CSA certified with the CSA mark; only products that have been certified by the CSA are allowed to carry the mark. These products are also OSHA approved. UL is an independent product safety certification organization and is one of several companies approved for testing by OSHA. UL Listed products have been evaluated to make sure they meet USA and Canada safety standards prior to production. If approved, products receive a UL certification.